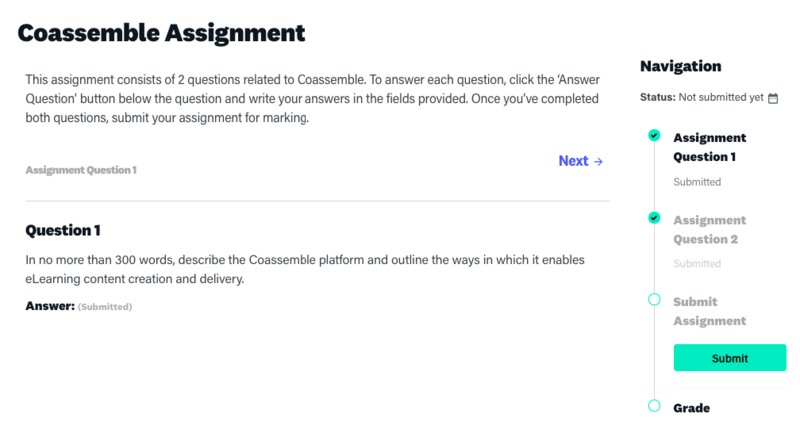 New to Coassemble? We've got you covered - here's a run-through of the basics to get you started. You should have received an activation email welcoming you to Coassemble. This email will contain an activation link that will take you to your profile creation page. 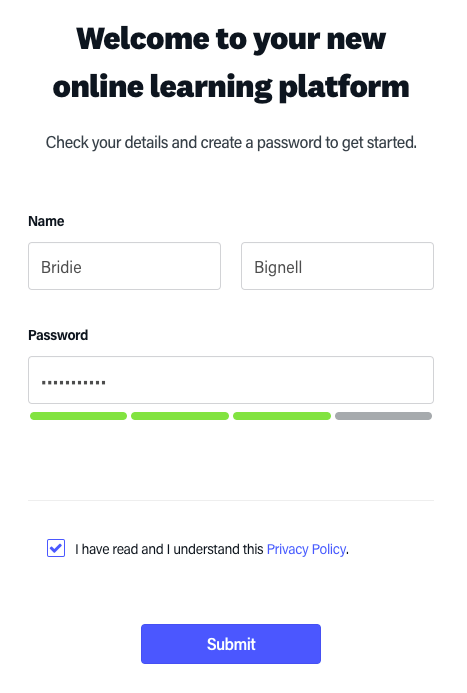 From the profile creation page, you can enter your personal details and choose a username and password for the platform. If you haven't received any sort of activation email, contact your employer or the Coassemble support team, and we'll get you sorted. Coassemble is cloud-based, meaning that you can access it from any device at any time. 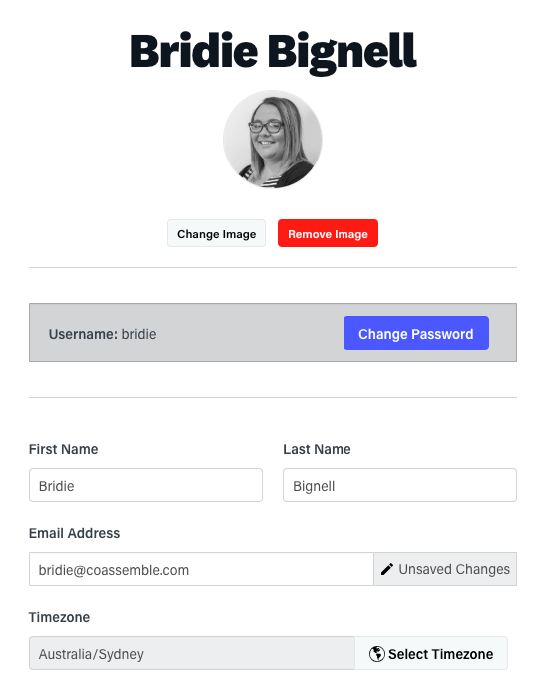 Simply go to the Coassemble website - www.coassemble.com - and log in by entering your chosen username and password. If you can't remember your password, click the 'Forgot Password' link and follow the steps to set a new one. Once you log in, you'll be greeted by the Coassemble Dashboard - this is basically your home screen. This will show you all the modules that your facilitator has enrolled you in - if you're looking for a particular module, and are enrolled in a lot of them, you can use the search bar at the top of screen to find it. Click your profile name at the top right of screen to customise your profile - you can add your own photo, set your timezone, and change your personal details at any time. Select the Course you'd like to begin from your Dashboard and you'll be taken to the Course Overview screen. From here, you'll be able to see a brief description of the Course and its learning outcomes - these tell you what you'll learn. To begin learning, click the Start Course button. There are four different modules that can make up a Course. Assessments summarise what you've learnt during your course, Quizzes test your knowledge through various question types, Documents allow you to review detailed information, and Lessons let you travel through a pathway of content. Courses can be made up of only one, or a mix of these module types. Assignments work a little differently from the other module types. When you click on an Assignment module, you'll see a brief description of the Assignment in question, and a series of questions that you'll need to answer. Assignments questions can vary - some will require you to type a response, whilst others will ask you to upload a document. If you'd like to come back to your work, you can select Save , and exit - this will keep your work as a draft. Select Submit Answer to send your work off for review. If the Submit Answer button isn't working, it means you haven't filled in all the relevant answers. Click the View Grades button at the top right of the Course Overview screen to see how far through the Course you are and how you've scored in Quizzes and Assignments. 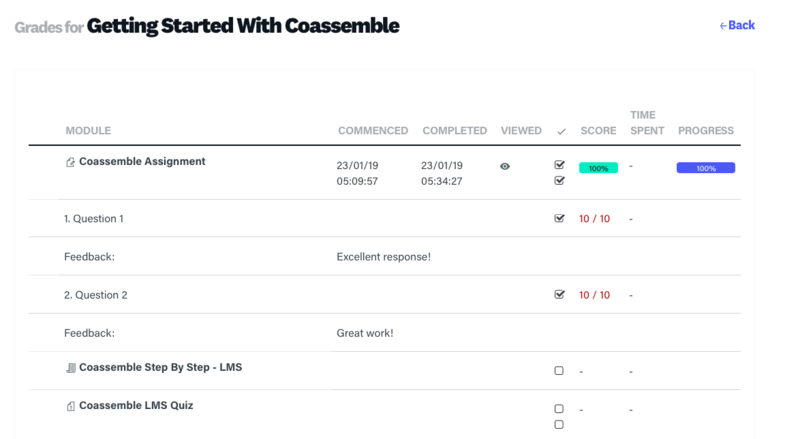 To see your grades for all Courses, click on the View Grades button at the top right of the Coassemble Dashboard. Group discussion is a great way to consolidate your learning. Simply select the Group Chat button at the top right of your Course Overview page and a chat window will appear. Any messages you type in here will be sent to all the other participants in the Course, as well as the Course facilitator. 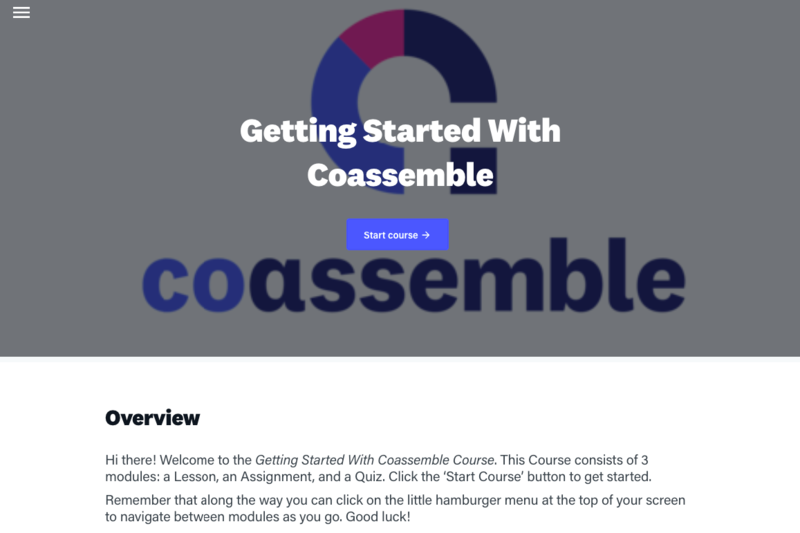 That covers the basics of getting started with Coassemble. If you run into any problems, contact your facilitator and they'll be able to help you out.